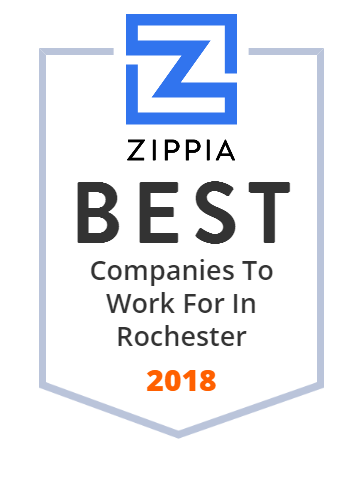 We hand-curated a list of the best companies to work for headquartered in and around Rochester, NY using data on salaries, company financial health, and employee diversity. Home Properties owns, operates, acquires, and renovates apartment communities. As of December 31, 2014, the company owned 42,107 apartment units, all of which were in Washington, D.C., Baltimore, Philadelphia, Long Island, Northern New Jersey, Boston, Chicago, and Florida. The company is owned by Lone Star Funds. The network includes five hospitals, ElderONE/PACE and home health programs, outpatient laboratories, rehabilitation programs and surgical centers, independent and assisted living centers and skilled nursing facilities. Paychex has HR solutions to fit the needs of any size business, from startup to enterprise. Let Paychex help you take your business where it needs to go. The Rochester City School District is a public school district that serves approximately 30,000 students in the city of Rochester, New York. Carestream medical imaging and healthcare IT solutions for healthcare providers, all backed by a global service and support network. Hillside Family of Agencies is one of the oldest family and youth non-profit human services organizations in Western and Central New York, USA. The Memorial Art Gallery is the civic art museum of Rochester, New York. Founded in 1913, it is part of the University of Rochester and occupies the southern half of the University's former Prince Street campus. It is the focal point of fine arts activity in the region and hosts the biennial Rochester-Finger Lakes Exhibition and the annual Clothesline Festival. Since 1974, Casco Security Systems Inc provides partnership with our clients by providing design, installation, service, and support to seamlessly integrate systems. Excellus BlueCross BlueShield is a nonprofit independent licensee of the BlueCross BlueShield Association. BRI is a leading provider of pre-tax benefit accounts and COBRA administration services including: FSAs, HRAs, HSAs and commuter plans. Heritage Christian Services is a human services agency in Upstate New York that works to make sure children, older adults and people with disabilities thrive.